Since the early 20th century, the Swedish psychology profession has undergone several changes in its essential tasks, epistemological foundations, and social roles. These changes occurred through an ongoing “tuning” with Swedish society, in which the profession strove to appear relevant to society’s concerns and problems as well as enroll others to share the profession’s goals and aims. Studying the history of the profession can thus shed light on the changing definitions and contours of the psychology profession itself as well as on the organization of the society in which it acts. This article examines the history of the Swedish psychology profession from 1990 to 2010, through an analysis of the discussions and debates taking place in the Swedish Psychological Association’s journal. The analytical framework used draws on work done within actor–network theory and science studies. We argue that the profession’s institutional connections, defining tasks, epistemological underpinnings, and social position have changed in major ways during these 2 decades. Overall, as a result of an increasingly felt insecurity, the profession has turned outward and tried to find new ways to legitimize itself to politicians, the media, patients, and customers through means such as a more economized vocabulary and novel forms of empirical research. These changes have led to a more socialized profession, now more closely tuned to other actors in Swedish society, leading to conflicts within the profession over whether this is an opportunity to better control their own destiny or if it will lead to a loss of autonomy. This article analyzes, from the standpoint of reception studies and transnational history, the different ways Lev S. Vygotsky’s published work in Spanish, English, and Russian was read, discussed, and used in Argentina from 1935 to 1974. This “early” reception primarily involved 2 groups: writers affiliated with the Argentine Communist Party, and individuals without political affiliations who engaged in discussion with Communists. 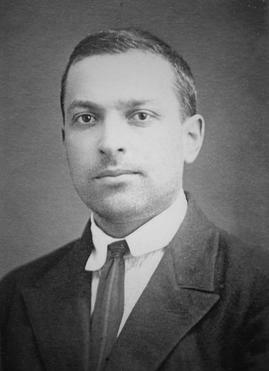 The article argues that Communism, as a cultural tradition and political organization, played a key role in the reception and diffusion of Vygotsky’s work. The ideas of the Soviet psychologist were applied in 3 different areas: the psychophysiological theorizing of consciousness, the diagnosis and treatment of dyslexia, and the study of psychiatric phenomena. This article partially reconstructs the circulation of Soviet psychology in Argentina in order to provide a critical approach regarding the inclusion of certain figures in the psychological canon, the methods by which these authors have been researched in the past, the means that enable the circulation of psychological knowledge, and the ways in which the political and intellectual milieu of reception define the productivity and relevance of an author. This article examines the areas of research conducted at the Laboratory of Experimental Psychology of the University of Rome from 1907 to 1947, directed first by Sante De Sanctis (1862–1935), and then, from 1931 on, by Mario Ponzo (1882–1960). The method used to distinguish the topics and areas of research that characterized the Roman School during this period is the textual analysis of the titles of the journal in which studies completed at the laboratory were published, namely, Contributi del Laboratorio di Psicologia sperimentale [Psychological Contributions of the Laboratory of Experimental Psychology]. This empirical analysis, which complements and supports the historiographical interpretation, demonstrates the disciplines that emerged under a system managed by the directors over 2 periods of time in the pursuit of scientific psychology in Rome and in Italy. This analysis highlights the process of adjustment from a traditional, general approach to a more theoretical-technical application. This article is a new contribution to the Italian debate on the periodization of the “crisis” in Italian psychology. This article discusses Geiger’s review of empathy, expressed in a lecture at the IV German Congress of Experimental Psychology in 1910. It deals with the key psychological question of how it is possible to know the minds of others. This question is complex and needs clarification, so Geiger divided it into 3 basic questions: The first is phenomenological (what is the conscious experience of empathy? ); the second relates to the psychological function performed by the empathic act; and the third question asks whether and how empathy is acquired during personal development. Finally, Geiger introduces a distinction between basic empathy and reliving. Geiger’s conceptual clarification is discussed and its relevance for the psychology and philosophy of his time is considered, as well as its possible influence on Jaspers’ General Psychopathology. Finally, the current debate in the neurocognitive science of empathy is examined in light of Geiger’s conceptualization. Psychology had an early start at the University of Copenhagen in the first half of the 19th century, where it was taught as the major part of a compulsory course required of all first-year students. Particularly important in the establishment of psychology at the university was Frederik Christian Sibbern, who was professor of philosophy from 1813 to 1870. Sibbern wrote numerous works on psychology throughout his career. In his first book on psychology, Sibbern expressed the view that the ideal psychologist should also be a poet. Søren Kierkegaard, Sibbern’s student, was precisely such a poet–psychologist. Kierkegaard discussed psychology in many of his works, reflecting the gathering momentum of psychology in 19th-century Copenhagen, Denmark. The article brings out some aspects of Kierkegaard’s poetic and literary-imaginative approach to psychology. In his opinion, psychology was primarily a playful subject and limited in the questions about human nature it could answer, especially when it came up against the “eternal” in man’s nature. Kierkegaard had a positive view of psychology, which contrasts sharply with his negative views on the rise of statistics and the natural sciences. In the latter half of the 19th century, psychology turned positivistic at the University of Copenhagen. This left little room for Kierkegaard’s kind of poetic psychology. Provides news and upcoming event information for the Society for the History of Psychology. Topics include presidential nominees for the Society, Division 26 events, upcoming symposium presentation topics, notes on the history of psychology in Germany, and the Society for the History of Psychology President’s report.